An introduction to a newish platform for producing anarchist texts in audio format. For the past couple of months or so I've been interested in and then later volunteering for a group called Audible Anarchist. Audible Anarchist is a group of volunteers making audio book versions of texts thought to be useful for the development of Anarchism and education. "What is anarchism? Anarchism is a diverse and overlapping set of political ideologies dedicated to creating a stateless society where all individuals are free from arbitrary authority, hierarchy, and oppression. Because our current society is based on hierarchy--the ingrained beliefs that some people should have more power than others--we believe we must destroy the systems of power that keep all people oppressed. 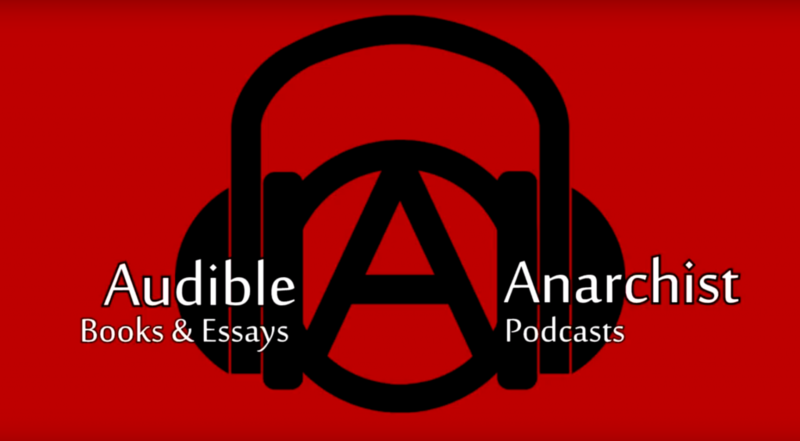 Audible Anarchist is a collective of volunteers from around the world dedicated to sharing anarchist ideas through audio recordings of books and essays, through podcasts, and through collaboration. Subscribe to our channel and discover the myriad resources available to you. Uploads several times each week." Currently the main project is reading Rudolf Rocker's Nationalism and Culture but readers are free to contribute a reading on any text they wish. Speaking of the group is always open to more volunteers, all you need is a means to record audio and access to the text you wish to read. Audio editing skills are a bonus but speaking from experience its not necessary as the group has some very experienced editors. One strength of the current Anarchist community is that it has preserved many books, essays and speeches and still continues produce more to add to it. However material in other mediums is lacking, so audio books are a way of filling in some of the gap. I myself struggle to get into some books and even short essays and have found the readings on Audible Anarchist very helpful. Currently much of the work is being done on the Youtube channel but their is also a Dischord server and subreddit. There is also a website and plans to collaborate further with Librivox the worlds largest publisher of public domain audio books. Recently Audible Anarchist can now be found on several podcasting platforms under the name Audible Anarchism.